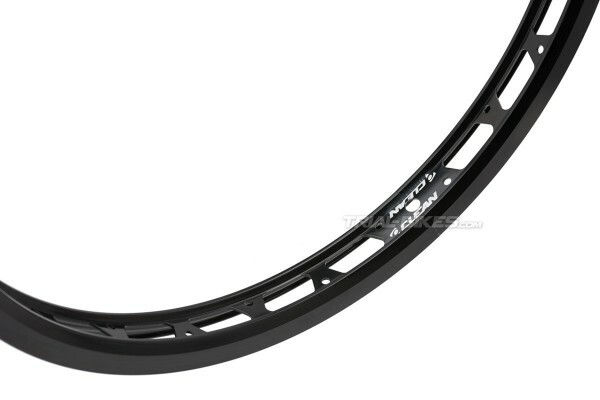 - New version of the high quality Clean V2 20” front rim. - Developed in Spain and currently used by UCI World Champion Abel Mustieles. - This new version has a unique, lighter design that still manages to keep a high durability and ensure a great performance. - Made from high quality, super light 6061-T6 aluminium. 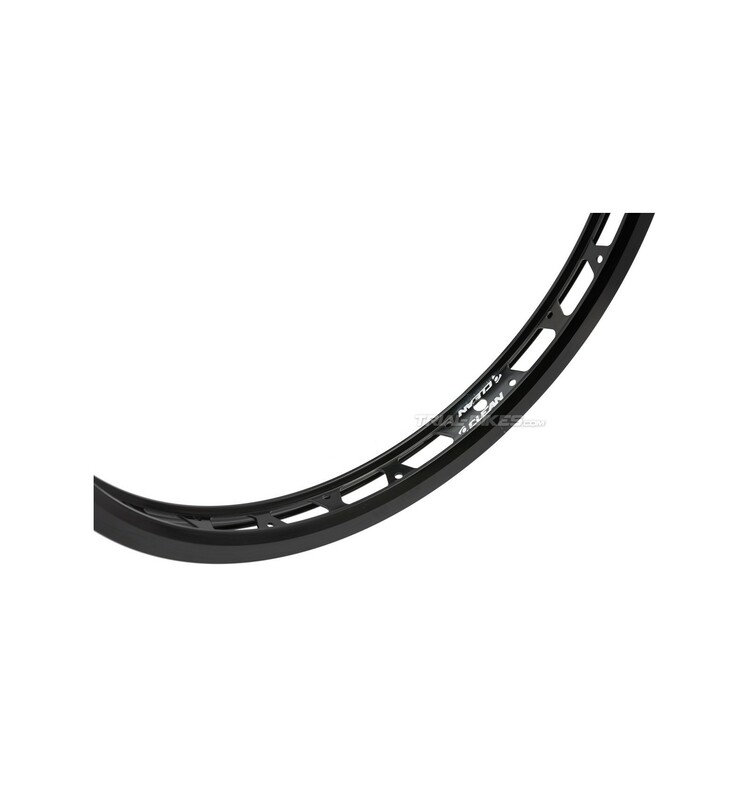 - 34mm wide profile, which offers a great balance between stability and low rolling resistance. - Super light single-walled design, with customized holes, saving a good few grams without compromising its strength. 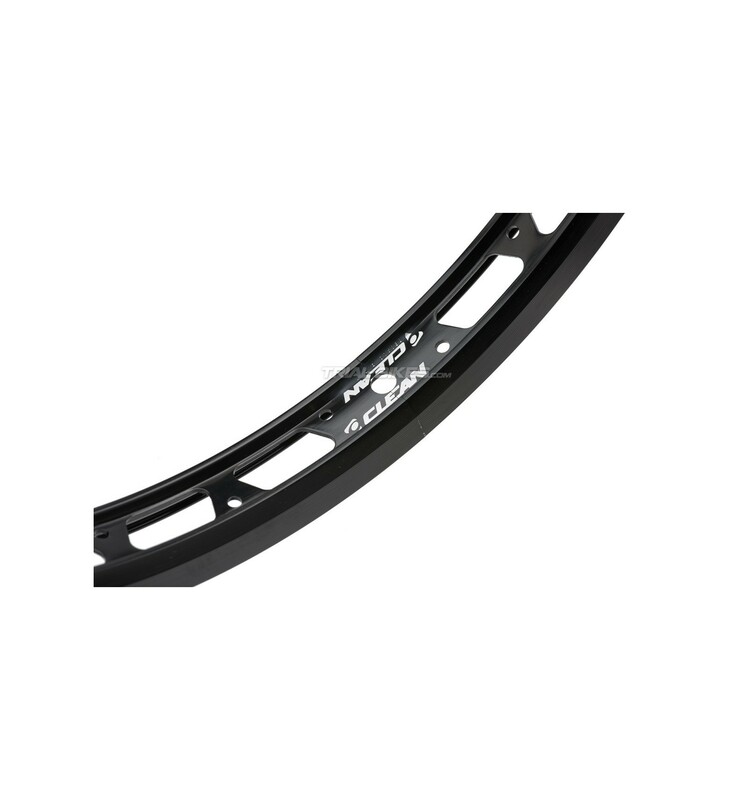 - Large sidewalls (13mm) ensure more than enough room for the pad, offering a better braking performance and therefore being ideal for rim brakes. · With 28 spoke holes (28H). · With 32 spoke holes (32H). 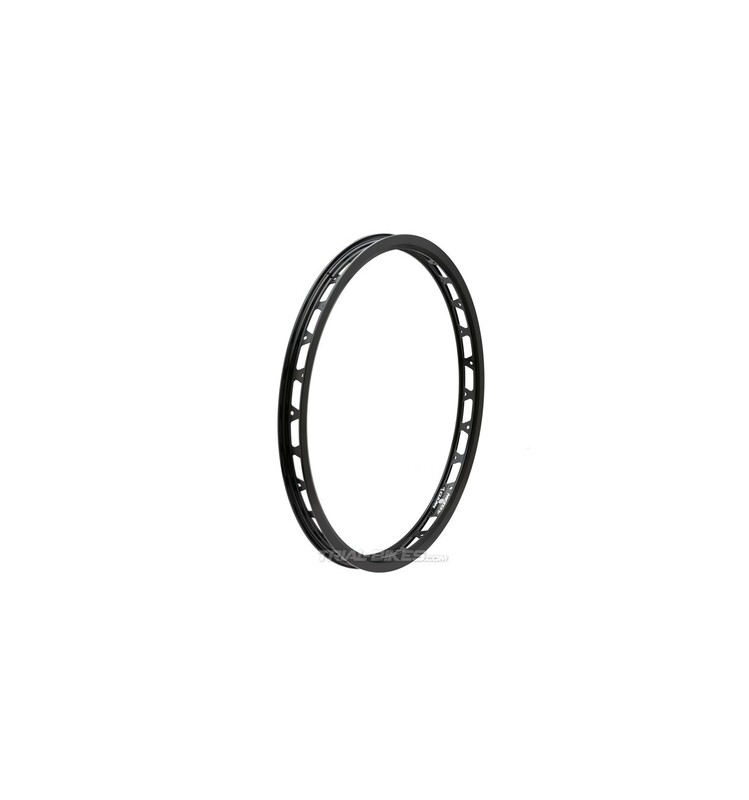 - The spoke holes are orientated on the rim sides, ensuring a stronger, stiffer build.